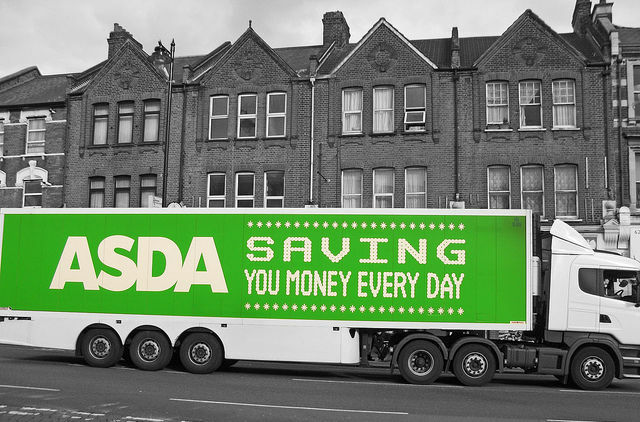 Opposition councillors say the Conservative-UKIP plans for the ASDA money are “an insult to hard working Islanders who are having their Council Tax put up while paying for running machines and new desks”. Just four weeks after the Conservative-UKIP takeover of County Hall they have agreed to “blow” the fabled “Asda” windfall of £17 million. The money, which the Full Council had democratically agreed last October under the Independent administration to keep intact for a rainy day, has now been included in the capital programme, with no agreement from the full council as to how it would be spent. A cross party working group, which was chaired by Labour’s Geoff Lumley, but included members from all political groups, undertook a significant piece of work last year to look at how the windfall money could be best used to support the future needs of the Island. “The full Council met last October to agree the Medium Term Financial Strategy. This is the financial plan for the next five years. “We all agreed that the Asda money should be left intact for a rainy day, however now it is raining, it’s raining huge cuts to adult social care, children’s services and other valued services used by Islanders proposed by the Con-UKIP so called Care-Takers. “I led a working party to look at the responsible use of this money and made a clear recommendation last year. “To now find out that the Con-UKIP temporary administration have come in and unilaterally decided to spend our windfall, money that could protect Islanders from the effects of the Tory Government cuts, once again shows the complete lack of regard the Tory’s have for the democratic process on this Island. 46 Comments on "‘Con-UKIP budget to ‘blow’ ASDA Windfall’ say opposition councillors"
That’s a pretty pathetic attack, even for you. It is precisely these sort of baseless, cowardly and hateful remarks that stop capable people from standing in the first place. Geoff couldn’t do both, so he choose to serve the public as Councillor. He is by far one of the best we have and I certainly appreciate his contributions. Hang on – there was no medical assessment, it was his own assessment, as he stated above. I have little enthusiasm for Geoff’s politics, but your comments are basically libellous. @ fedupbritain – In normal circumstances your first comment would have been removed because the subject of Cllr Lumley’s personal situation is not open to debate. I allowed it to remain because Geoff had replied and set the record straight. The discussion needs to end there. Your remarks remain scurrilous and entirely cowardly. If you think you have any evidence to support your remarks, have the guts to tell me who you are so that I can take advice to stop your libel. If not, then please shut up. fedupbritain – I get the impression that you are trying to insinuate that Cllr Lumley is somehow faking disability with your “he’s either too sick to work or not.” Your comments are clearly out of order and defamatory. Thousands of pounds have just been spent on updating the two main Leisure Centres on the Island, the Newport centre was perfectly good enough as it had only been refurbished a few years ago. Why do Councillors and the work staff in the County hall not use these perfectly adequate centres, or are they just too posh to mix with the common people. This “frittering away” to which Cllr B-S refers is presumably different to the “frittering away” of millions of pounds of reserves which the Independents did in 2014-15, rather than set a balanced budget based on future revenue streams? So the interesting bit is Appendix D.
Adding up the items for County Hall and Sandown would be about £1.8million on refurbishment, of which nearly half is on new desks? And a few new laptops? And you want us to pay 5% more council tax? Cllr Baker-Smith and her crew spent over 3 million on a floating bridge, that has come out of the ASDA money. This is electioneering by Cllr baker-smith at it’s very worst. The replacement floating bridge didn’t come out of the Asda money. If you could add up you’d know that it made no difference whatsoever that ‘one stayed away from full council or that the other failed to vote for the Independent group’s proposed replacement leader’. The Con-Ukip alliance have had the numbers in the bag since they negotiated their pact. Surely you must understand that there must be a reason that your numbers have dwindled in the last couple of years? There must surely be some strange goings on behind the scenes at Independents HQ? Regards your proposed replacement leader, again you must surely understand the ‘con-alliance’ could not support someone who has been leader before and gave this up to pursue a failed campaign in national politics? Ed, Steve is right – even if all Independent group members had been there and voted we did not have enough to win against the Alliance of Cons/UKIP/IMG. The truth is that they’ve been out-voting us in Full Council for at least a year before they formalised their pact. You’re conveniently avoiding the point. You’re outvoted because your group of Island Independents has collapsed. There are 14 official Conservatives, aren’t there? The alliance has a majority without using the inept chairman’s casting vote. Gilbey wasn’t sacked from the executive, only Priest was. Good riddance to the lot of you.If you are going to keep this up. Priest was only sacked after he highlighted the tampering of a council capital paper that conveniently benefited a project in your ward, isn’t that correct Steve? The project that to this day hasn’t actually been completed and has had a lot of money chucked at it? Not that it will make a jot of difference to you. Please correct me then Steve…. Keep ‘living the dream’ ! And if the ‘4 IMG Cllrs/defectors’ never actually campaigned as part of the independents group then why were you all surprised that they were so quick to part company with you? Typical Tory and right of them UKIP, what idiots vote for them? Too many unfortunately, you’d hope at least the UKIP ones would lose their seats at the next council elections. I bet we end up with even more UKIP councillors though. How can they even think about refurbishing county hall at a time like this? It is insulting, they are actually considering cutting personal budgets for people with learning disabilities, direct payments to the physically disabled, and children’s services, the they come out with this? The mind boggles. Admirably put, Rod. Now is the time for all good men (and women) to come to the support of the Green Party – so much more than just green objectives!